PRESIDENT Rodrigo Duterte reiterated on Thursday, January 10, his plan to issue an executive order (EO) that will impose a total ban on the use of firecrackers nationwide. Duterte made the pronouncement in an attempt to reduce the incidence of firecracker-related injuries in the country. "The law itself is wide open for me to play and I will issue the executive order at this early para warning na doon sa lahat (as a warning to everyone) that I am banning firecrackers altogether," he said in a speech delivered in San Jose del Monte, Bulacan. "I will ban firecrackers. Wala na (No more). I cannot... Bakit ako papayag na noon 700 dead tapos may maski isang bata lang mawalan ng kamay (Why will I allow? Before there were 700 dead, even a child can lose his hand. So as a President, why would I allow it?" the Chief Executive added. On June 20, 2017, Duterte inked EO 28, promulgating "stricter" rules and regulations on the use of firecrackers and other pyrotechnic devices to prevent injuries and casualties recorded every year. 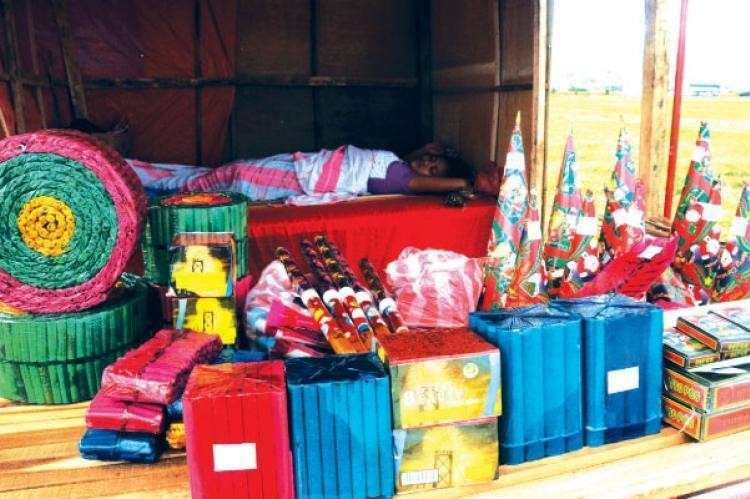 Duterte's EO 28 confines the use of firecrackers to "community displays" that must be under the supervision of a "trained person" duly licensed by the Philippine National Police (PNP). The President also signed Memorandum Order (MO) 31 on October 9, 2018, ordering the suspension on granting of new licenses and permits for the manufacture, sale, and distribution of firecrackers and pyrotechnic devices, pending review of existing licenses and permits. MO 31 also directs the PNP to conduct inspections to ensure that manufacturers, distributors, retailers and users of firecrackers and pyrotechnic devices are in compliance with the safety guidelines cited under existing laws, rules and regulations. Despite this, a total of 307 firecracker-related injuries have been recorded by the Health department between December 21 last year and January 4 this year. Duterte said he would order the Justice department to thoroughly study his plan to totally prohibit the use of firecrackers all throughout the country.